If you are looking for the best overall moving company in Northeast Ohio, you have come to the right place! We have been providing high quality residential and commercial moving for decades and we are familiar with nearly every neighborhood in every city we cover. We take great pride in serving our community and promise the best customer service of any Ohio mover on the market. Whether you are moving in or out of our service area we will always do our best to exceed your expectations. Our Compass Relocation employees, from office staff to move coordinators to moving crews, show up to work every day with a goal of moving excellence on their mind. We know the city of Canton well. If you’re moving across town we may be able to complete your move in a matter of hours! We provide all of our moving & storage services in Strongsville as well. We always enjoy helping our neighbors and look forward to helping you! City relocations may be difficult for other Cleveland movers, but our thoroughly trained crews know how to navigate an urban environment. Experience matters when it comes to city moves. The “City of Invention” has attracted a lot of national attention recently and we have helped move a good number of families and businesses into the county seat of Summit County. The city of Massillon has been the home to dozens of notable natives and remains home for various well-known companies as well. Call us for residential or commercial Massillon moving! As the largest city in Medina County, Brunswick is a proud member of the Cleveland Metropolitan Area, contact us for all your Brunswick moving needs. 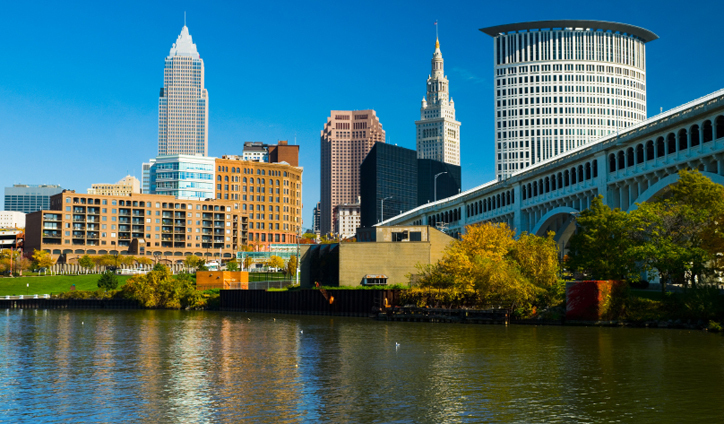 At Compass Relocation, we’re proud to serve households and businesses in Cuyahoga Falls. Our moving and storage services are customized to meet the exact needs of each individual customer. No matter your individual family’s or business’s needs, our Parma movers are equipped to handle them as an agent of Mayflower Van Lines. With a proven reputation for excellence, you can trust Compass Relocation as your North Canton movers. Are you ready for a free Northeast Ohio moving quote?